Gift of Mr. Charles Ryskamp in memory of Constance Mellon. 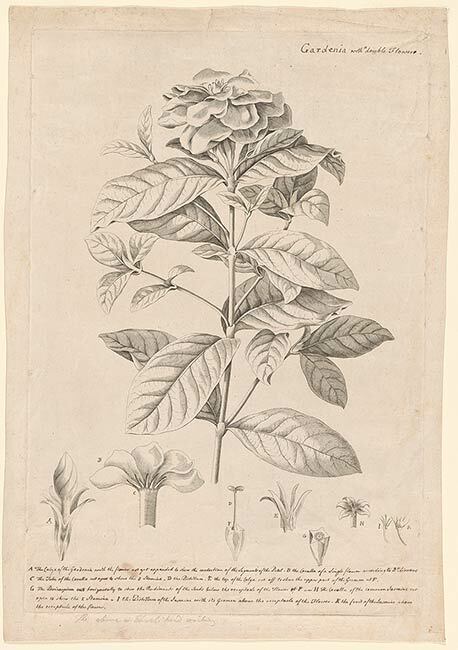 Inscribed variously by the artist at upper right, in pen and brown ink, "Gardenia with a Double Flower. "; letters A to K at various renderings and cross-sections of the plant. Proof sheet for engraving, possibly for Plantae et papiliones rariores, published in London, 1748 to 1760.